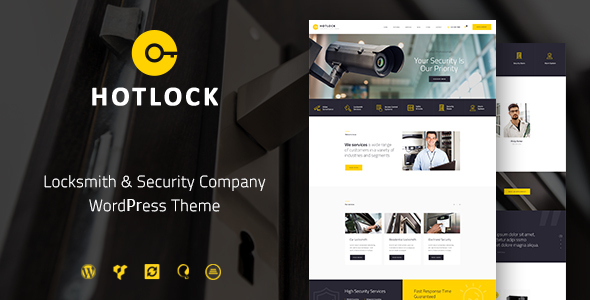 If you are a retailer who offers locksmith services, or you are in need of website for security firm, or even an online store of locks and security systems, HotLock is a right WordPress decision. The theme is easy manageable and fully editable, and you can easily build new page layouts showcasing your services, customersâ€™ testimonials, and product range, due to Visual Composer compatibility. High WooCommerce compatibility allows opening an online store of security goods with no efforts. HotLock is fully responsive and 100% Retina Ready, so no worries about how your website would display on screens of different resolutions.